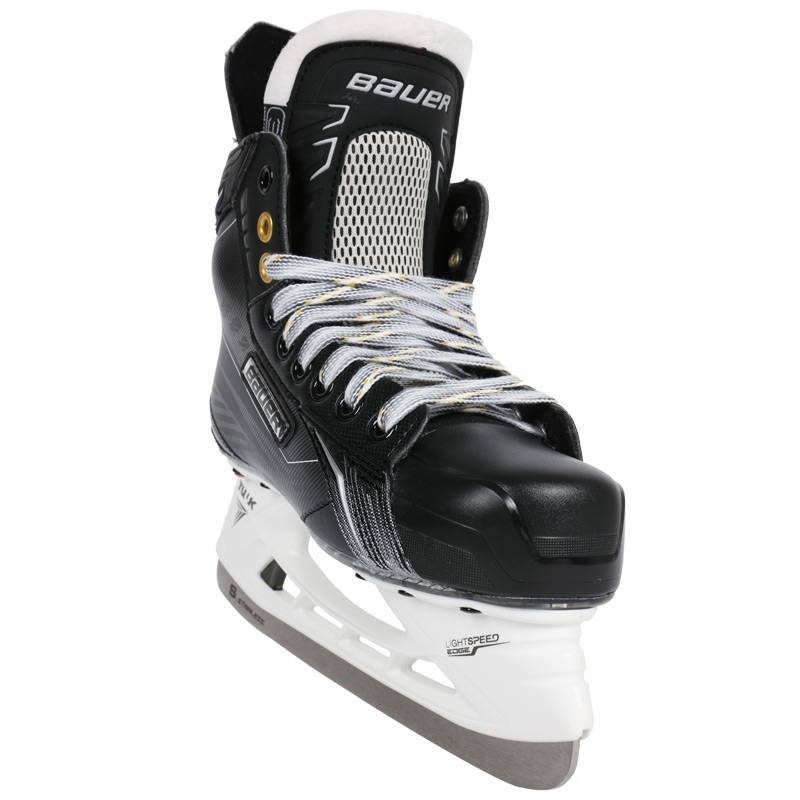 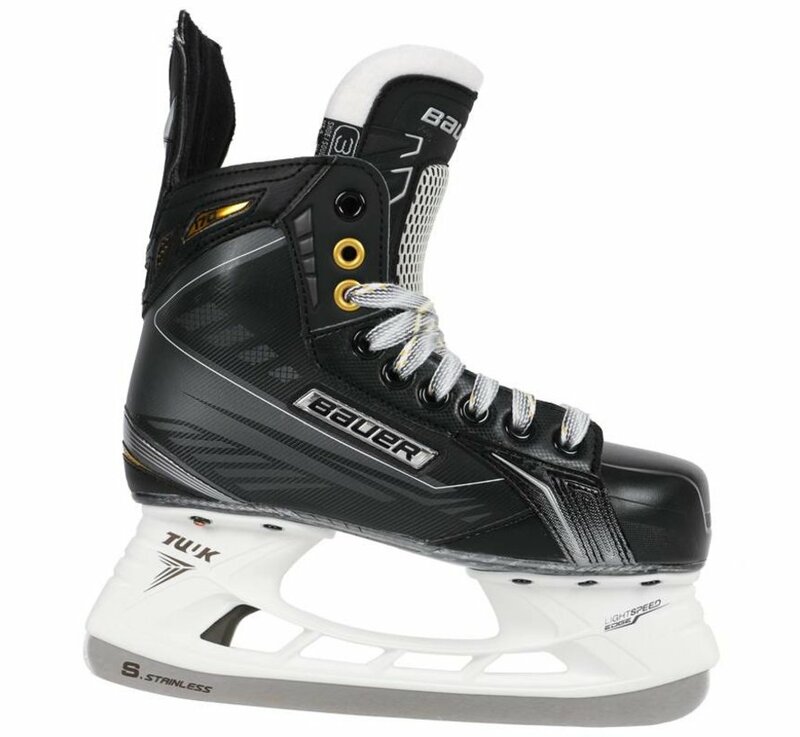 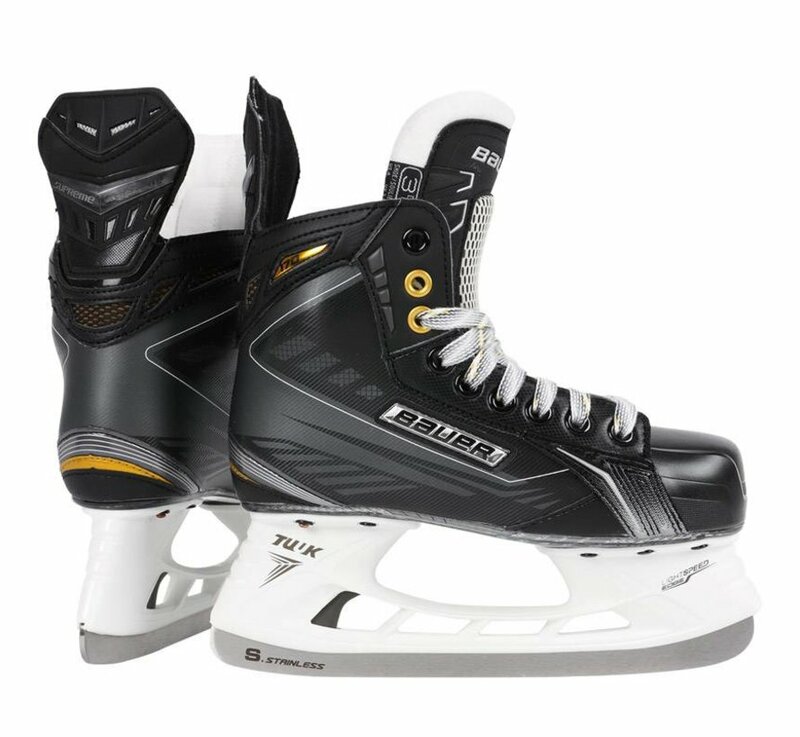 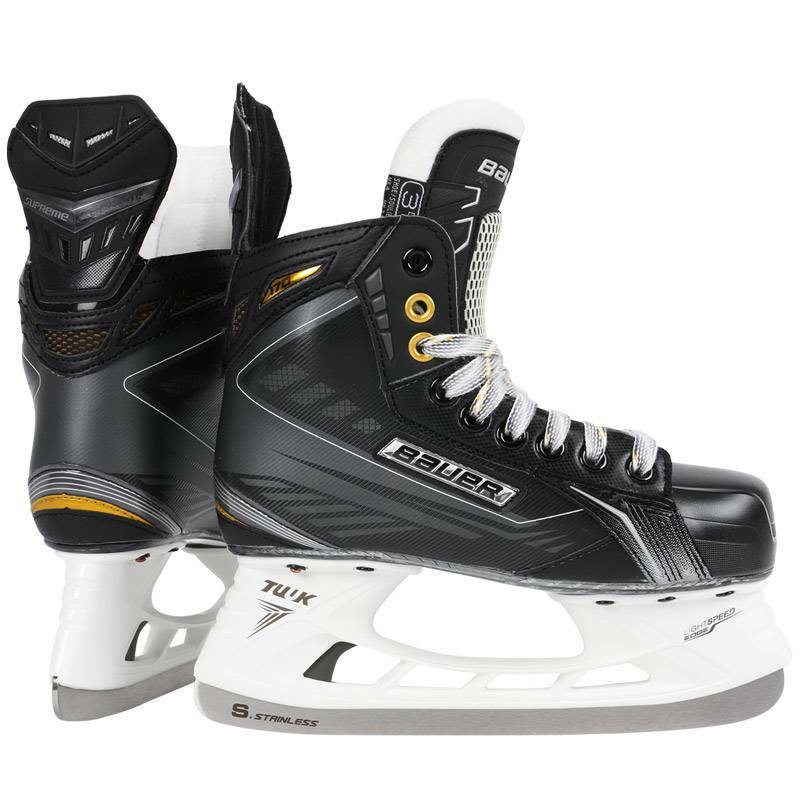 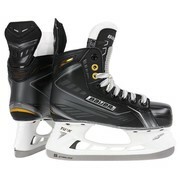 The Bauer Supreme 170 Ice Hockey Skates are the middle price point model in the Bauer Supreme Skate Line. 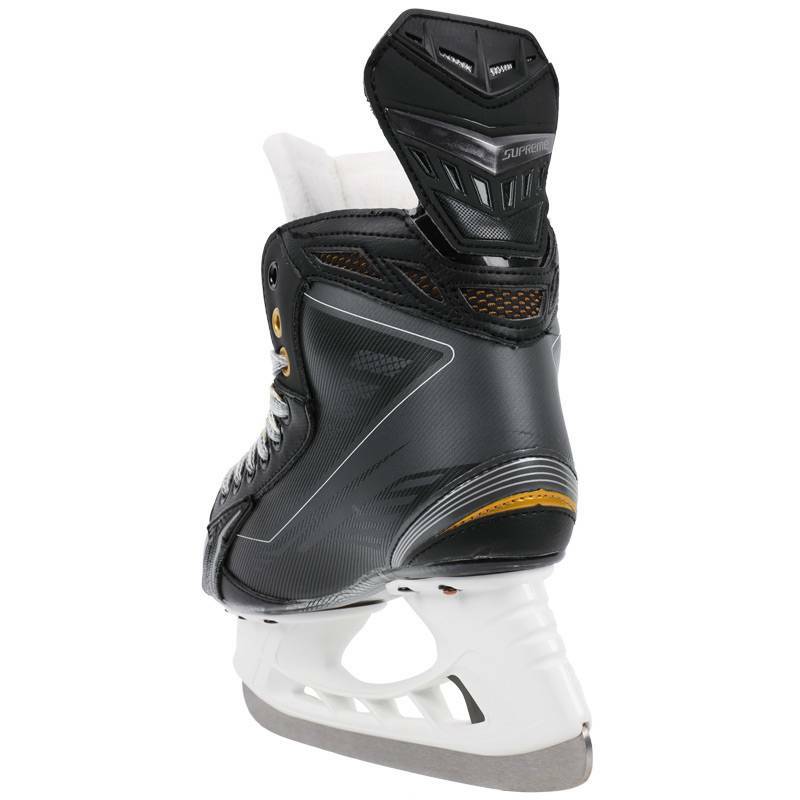 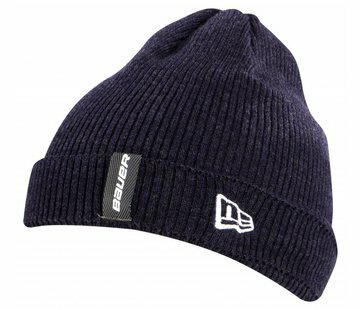 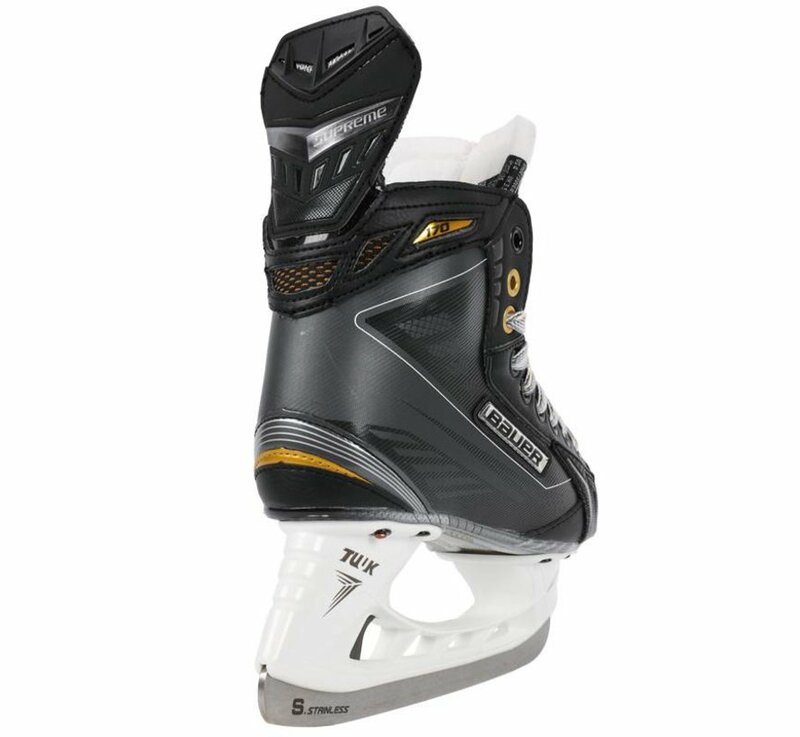 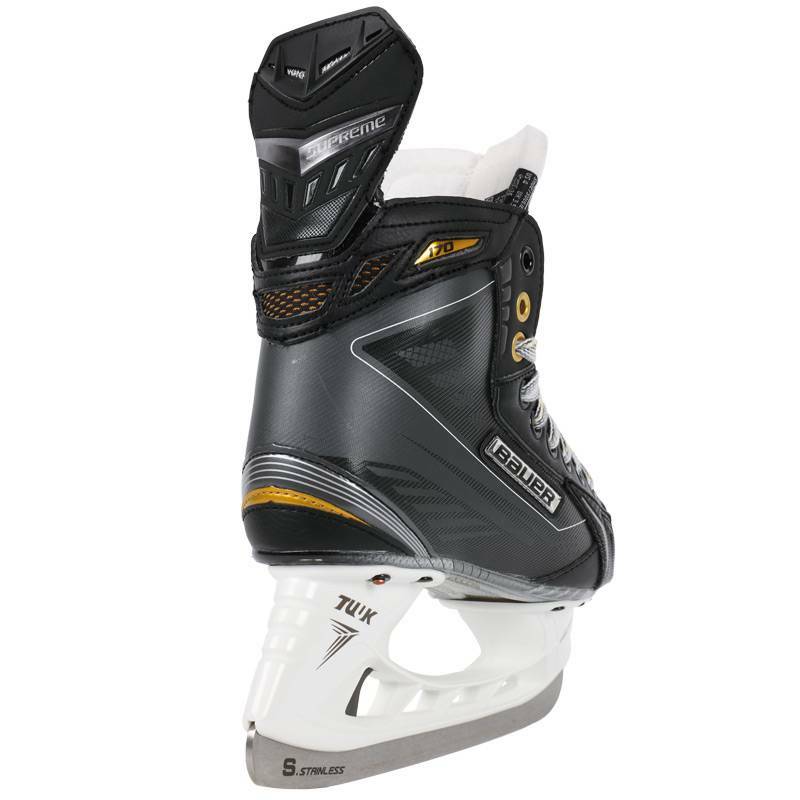 The 170 Ice Skate features a solid 3D Ultra Lightweight Tech Mesh Quarter Package that is fully heatmoldable for comfort and support. The upgraded 48 oz, three-piece white felt tongue includes high density foam reinforcement for impact and lace bite protection. 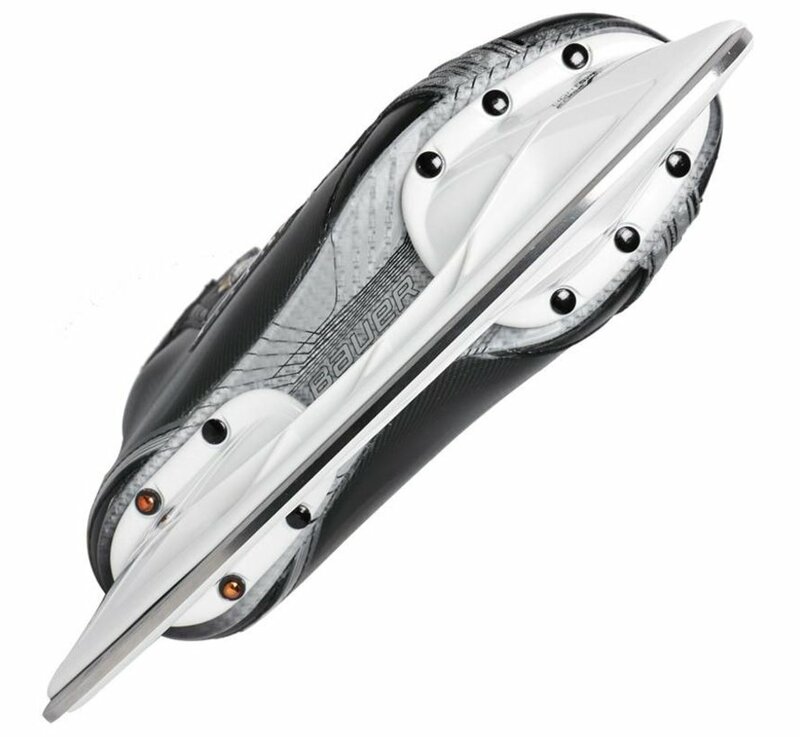 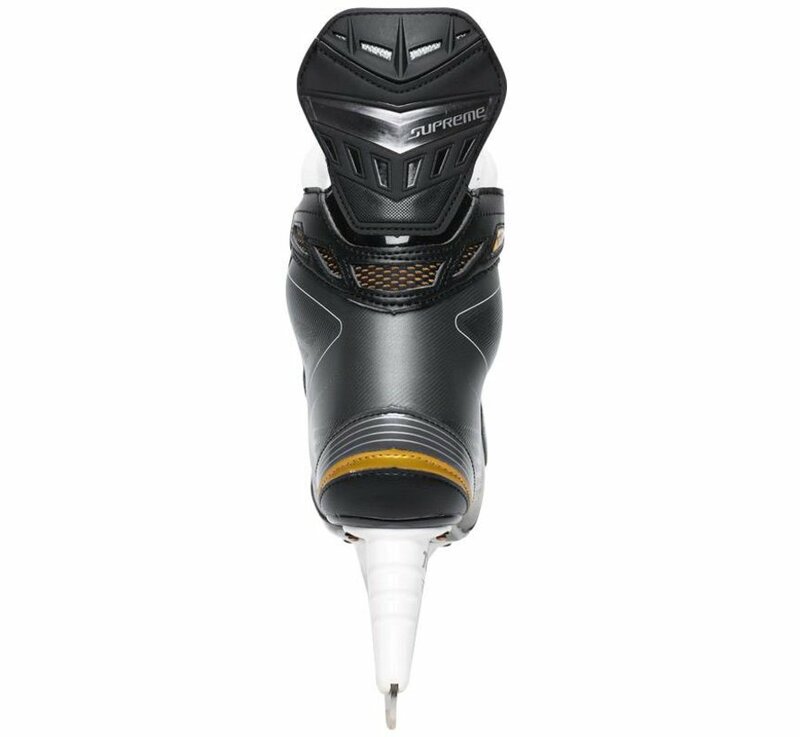 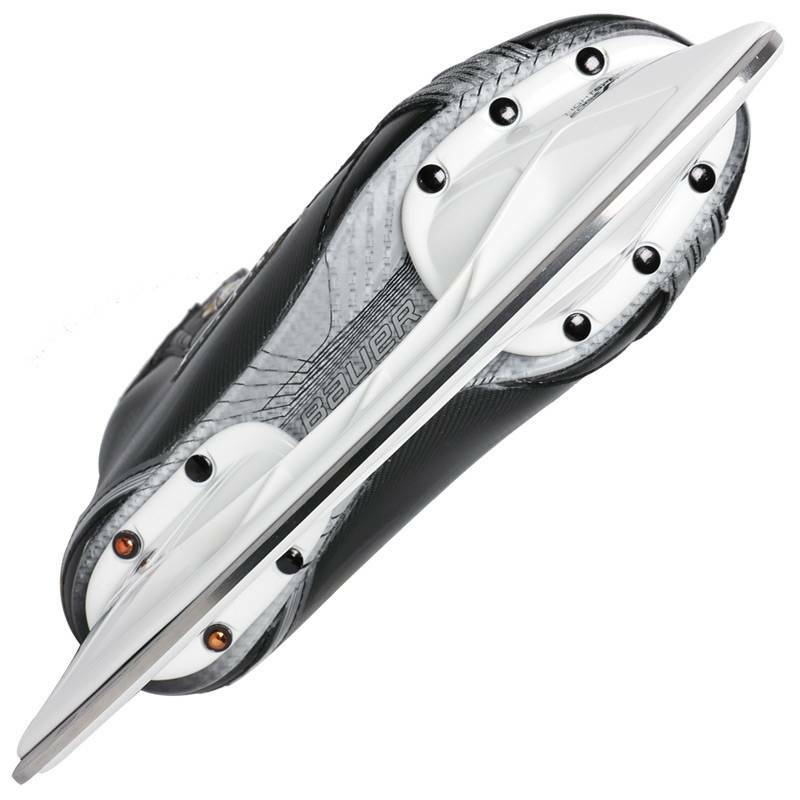 The Lowers of the Supreme 170 Hockey Skate utilize Tuuk's innovative Edge Holder that has a quick release trigger system that allows broken or dull steel to be swapped out in seconds. 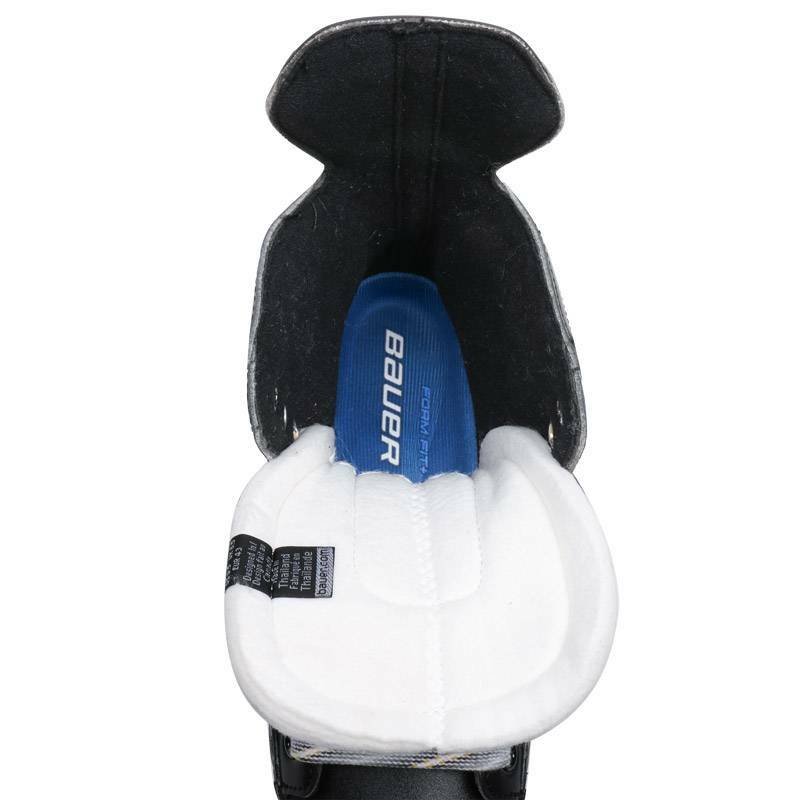 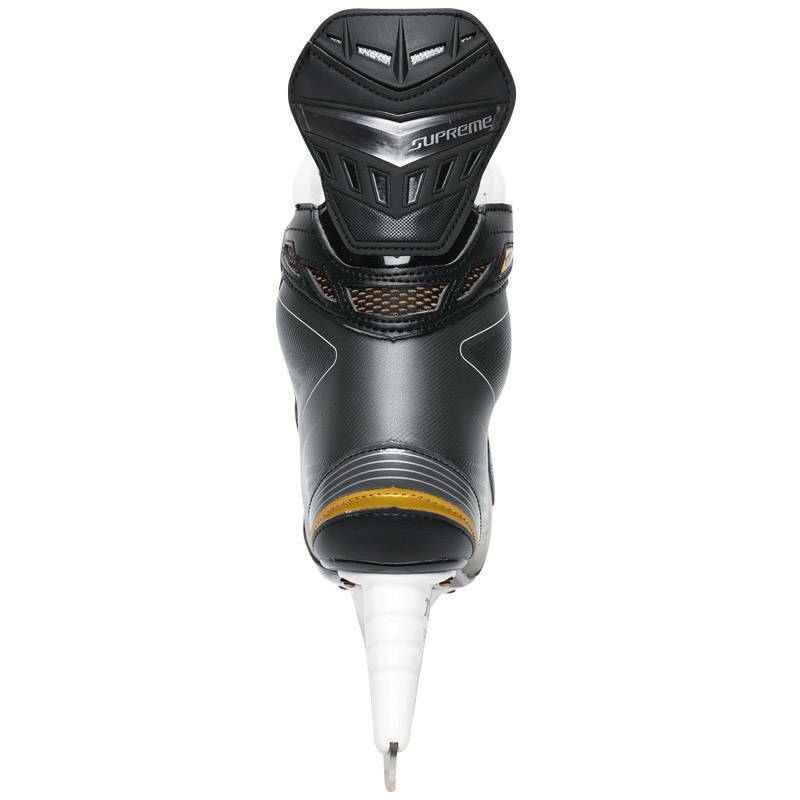 The front and rear post also sit 3mm higher, allowing players to turn even more aggressively without bottoming out. 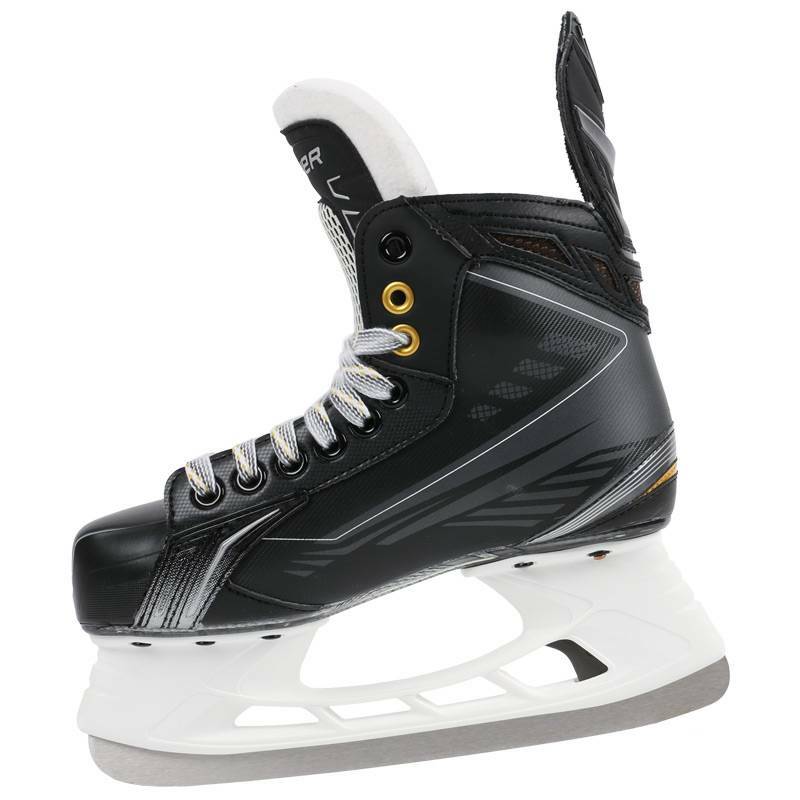 The Hydrophobic Grip Liner helps to wick away excess moisture while also keeping the foot properly grounded.